The Lithuanian University of Health Sciences was founded in 2011, after the merging of the famous University of Medicine in Kaunas and the Lithuanian Veterinary Academy. The roots of the medical studies go back to 1920. 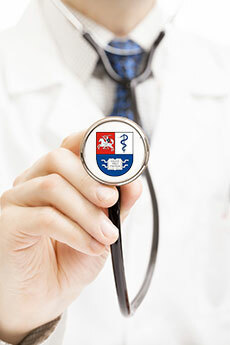 It is now the biggest institution in Lithuania offering academic degrees in the medical field. The degrees offered at the faculties for medicine, dentistry, pharmacy and veterinary medicine comply with the EU directives and are also accredited in the USA. The degrees offered by the school of public health are authorised by ASPHER (the Association of Schools of Public Health in the European Region). All degrees are recognized in the USA, the EU, the European Economic Area and other countries. The university is listed in the World Directory of Medical Schools, published by WHO (World Health Organization). The university cooperates closely with the WHO, and it is also listed in the International Medical Education Directory (IMED), and in the American database FAIMER (Foundation for Advancement of International Medical Education and Research). The Veterinary Academy is a member of the World Veterinary Association.